“King’s has a very active music society, known as KCMS, which puts on three large scale concerts a year, as well as smaller projects run by members of the college where possible. This year, KCMS will have a stand at the King’s freshers’ fair, where you can give us your email address to sign up as a potential player. As an instrumentalist, you can get involved with the college orchestra via our weekly lunchtime recitals which run during the first two terms, and meet other college musicians who often set up chamber music projects. As a singer, if you’re not already a choral scholar with the main choir, you can audition for King’s Voices, our mixed chapel choir, in freshers’ week. Alice Kelly is a third year music student and an oboist in the Cambridge University Music Society Symphony Orchestra, as well as President of the King’s College Music Society. For further information about KCMS or information on the university music society (including the jazz orchestra), you can email her here. “King’s is an inspiring environment for visual arts, in terms of its facilities, sights, people and opportunities. 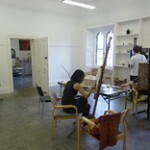 The spacious art room, overlooking the chapel, is open to college members at any time. The art room coordinator Nigel runs workshops on Saturdays, where he offers student at any skill level a space for artistic exploration. Life drawing classes are run every Wednesday and Thursday evening from 8 to 10. The art center also hosts regular exhibitions. Further opportunities to get active are the annual Ryland’s art price, the King’s Women’s Day exhibition in March, or the King’s Affair. For those interested in visiting Museums and other Cambridge art venues, the university-wide Fitzwilliam Museum Society (FMS) is currently run by King’s students and organises art tours and talks in Cambridge, as well as an annual student night in the Fitzwilliam Museum. The FMS is always looking for art enthusiasts to get involved. Nora Rosenberg is a third-year PBS student and Vice-President of the FMS. She is an eager attendant of life drawing classes and curator of student exhibitions, and can be often seen wandering through Cambridge with a camera. You can contact her here with any questions. “King’s has had a good reputation for comedy for a while, thanks to the King’s Jest, which was championed by ex-Footlights president Phil Wang who was at King’s a few years ago, and has been staged in Keynes Hall at least once a year since then. The college is a really supportive and friendly environment for students from any college to try out some new stand up or sketches or songs. The Jest at this stage desperately needs someone to revamp it, so if you’re at all interested in comedy it would be a great place to start performing. The atmosphere is always incredibly warm, and the college is helpful in arranging a comedy night in Keynes Hall or the bunker – just get in touch with the room booking service, send out some audition emails via KCSU and see what happens! In terms of uni-wide comedy, there is a vast amount on offer. 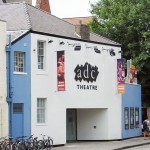 Joining the Actors’ List is a useful way to keep in touch with the countless comic plays that are produced across Cambridge every term, and signing up to the Footlights mailing list will mean you can be updated with ‘smoker’ audition times, which happen every fortnight and are a friendly stage for anyone to try out anything they think might be vaguely funny. Archie Henderson-Cleland graduated from King’s with a degree in Classics in 2015, and is known in the college community as being a pretty funny guy. While at King’s, Archie was a writer and performer for the Footlights, and regularly appeared in Footlights smokers as well as King’s Jest. 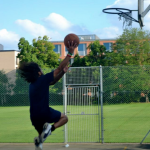 “King’s has so much sport on offer within college, but you can also play sport more seriously at university level. I was fortunate enough to get a place in the university women’s football first team, otherwise known as the Blues Squad, and have been recently appointed Vice Captain for the coming season. University level sport is pretty intense, so if you take your sport seriously I’d urge you to trial for the team you’re interested in! As for football, we train 3 times a week and play on Wednesdays. One session is always dedicated to fitness work, and this takes place at 7:30am over at the University Sports Centre. We travel quite far for our games so Wednesdays are almost completely dedicated to football, but we always make time for a social after the game back in Cambridge! Getting involved with University sport is a brilliant way to stay on top of your game, progress as a player and make friends of all ages from across Cambridge. There are so many benefits to playing Blues sport: you get to compete in the world-famous Varsity fixture against our rivals Oxford, and you become eligible to join either the Hawks or Ospreys, two societies designed to celebrate sporting excellence in Cambridge. Ceylon is the current Vice-Captain of the Cambridge University Women’s Football First Team. In her free time she does an HSPS degree, and as a KCSU Access Officer she works tirelessly to encourage students from underprivileged backgrounds to apply to Cambridge. “King’s has a very vibrant and social rowing community! When I first got to King’s, I’d never heard of or seen rowing before in my life, but the enthusiasm and friendliness of members of the rowing club persuaded me to join. My first “novice” year was filled with plenty of rowing socials, fun races (in fancy dress! ), crashed boats, and new friends. By second year most of my best friends were the people with whom I’d learnt to row in first term, whether or not they had carried on past the initial eight weeks. This summer, I decided to step up my training and I did the university team’s development squad, which meant four weeks of intense training over summer followed by a few regattas in London. In the past year I’d taken rowing to a more competitive level, and trained 10-12 times a week, but it was my hilarious first year of rowing at King’s that I remember with the most fondness. Krysia Waterhouse is a third-year History student and former Women’s Vice-Captain of KCBC. She even lifts. 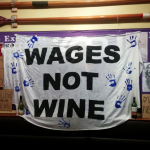 1 – The Living Wage – As part of a coordinated national effort, students at King’s have been encouraging the college to pay all its staff the Living Wage (currently set at £7.85 per hour), which is calculated based on the basic cost of living in the UK. Gabriel Fleming is a third-year History student and the Vice President of KCSU for 2015. He has been one of the most politically active students in the college since he arrived, and played a major role in the King’s Living Wage Campaign in 2014-15 which led to the college agreeing to pay all its staff the living wage that year. 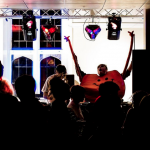 “The King’s Politics Society is one of the newest and most active societies in King’s. We organise between 6 and 8 debates in King’s per year, which normally take place either in Keynes Hall or the King’s College Chapel. The college’s fame and reputation has helped us attract some of the UK’s most high-profile and sought-after speakers, including Peter Hitchens, Martin Rees, Lindsey German, Eben Upton, and many more. Topics of debate have included topics as varied as military intervention, cyber security, positive discrimination, and faith schools. After the latter debate, a conversation between Brendan O’Neill and a group of students inspired him to write his infamous Stepford Students cover piece in the Spectator, which sparked a spinoff Stepford Student blog in Cambridge. Eleni Courea is a third-year HSPS student and the current President of KCSU, as well as a founding member of King’s Politics. Whenever some sort of campaign or project is being organised, she can often be found behind the scenes trying to familiarise people with the merits of colour-coding. “King’s College may not always top the college’s league table academically but it has a reputation for entertainment excellence. We understand that you work hard and need some down time. College Entertainments (Ents) provide a congregation point during the week for the college to get together and have a break. The core KCSU Ents are formals, pub quizzes, 8-tracks and Funday. Formals happen about once a week and the students have occasionally been known to trade organs to get tickets. We begin by having a lovely formal meal in hall which is followed up by some post-formal entertainment in the bar. This may be a bands, DJ, karaoke or ceilidh in the bar. For special occasions, such as Halloween and Christmas, formals are larger and have been nicknamed superformals. One visitor called last Halloween superformal “the best party she had been to since the 80s” and the Valentine’s superformal was mentioned in a recent vest-centric article in the Daily Mail. Pub-quizzes are held 3 or 4 times a term in the bar. They are written and hosted by students and there is a prize for the winning team. 8-tracks are open mic nights for the musically gifted among us to have a chance to perform in front of the rest of college. 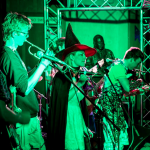 Students can take part as solo acts, in small bands or larger groups. Funday is the King’s garden party to celebrate the end of exams. It involves kayak polo, punt races, free food, an 8-track, volleyball, picnics, bouncy castles and an inflatable assault course. All studies show that nothing helps you get over exams quite like getting to be a drunk child for a day. If you want to get involved with any of the above, whether it’s helping out with formals, writing the pub quizzes or performing in an 8-track then feel free to get in touch with the Ents officers at any time! As KCSU’s Ents Officers for 2014-15, Roland Bayne and Ali Hussain (aka Rali Hussbayne) were in charge of fun. Following their departure from KCSU they are seeking employment – you can read their CV here. “The King’s Affair (KA) is the biggest King’s social event of the year and is held on the Wednesday of ‘May Week’ (which, confusingly, is in the middle of June). KA has been consistently described as the “shining gem of May Week” by the student press and presents an antidote to the monotony of the traditional May Balls. As a fancy dress event, KA has a different theme every year – past themes have included GLITCH, The Beast Within and ContAnimated. What’s more, KA is considered to be the most value for money social event in May Week – with tickets costing just £70 for King’s members (this may sound like a lot – but other May Balls cost over a hundred!). Sachin Parathalingam is a third-year law student and was Chair of the King’s Affair committee in 2014-15. He’s known as someone who can throw a good party, as a former Social Events Officer for The Cambridge Union and President of the Union’s Bicentary Ball.